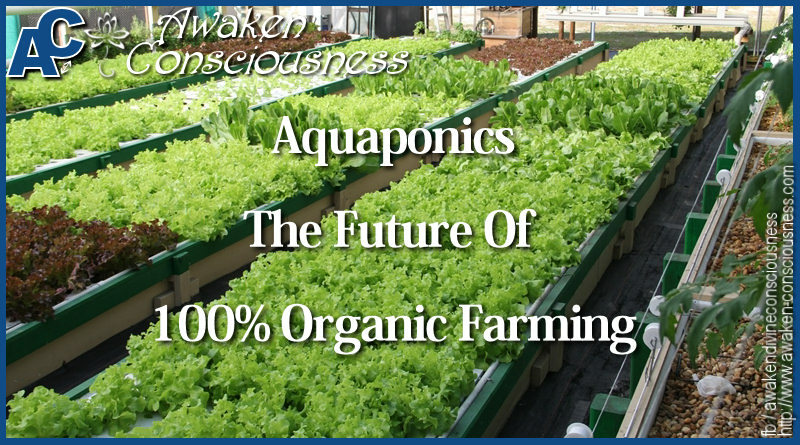 When Aquaponics came along my path in 2013, I knew immediately that it would make major shifts in agriculture and farming and that Aquaponics is the future of 100% organic farming. So I started to study it intensely and set up several Aquaponics proof of concepts while I was in India in 2015/2016. Although the concept is becoming more widespread on a global scale, there are still many people who know little to nothing about this amazing way of growing organic produce. 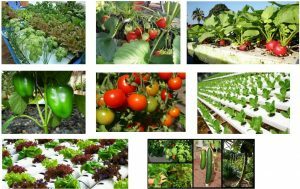 I have written a paper on Aquaponics for all to read and share so that Aquaponics can become the future of 100% organic farming (which it already is). With this paper, I also want to emphasize the necessity to switch to organic food because of the detrimental effects that processed foods are having on our health, not to mention the increasing amount of chemical pesticides and insecticides that are being sprayed on crops. Aquaponics is a form of agriculture in which vegetables, fruits and herbs are grown in a soil-less system. It is a way of growing food which has substantial advantages over any other form of agriculture, be it in soil, hydroponics or other forms. The word aquaponics is a portmanteau of Aquaculture and Hydroponics. Aquaculture, also known as aqua farming, is the farming of aquatic organisms such as fish, crustaceans, mollusks and aquatic plants. Hydroponics is a method of growing plants using chemical mineral nutrient solutions, in water, without soil. 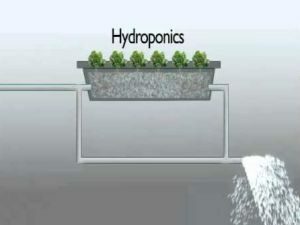 Aquaponics is a modern implementation of an ancient farming technique. 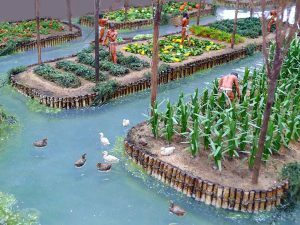 The Aztec used a system of chinampas or man made agricultural islands in fish laden lakes and ponds to raise plants which could benefit from the nutrients provided by the fish and the abundant water supply. The Chinese, Thai, and Indonesians who cultivated rice in paddies were known to add fish to the paddies to improve the growing, and harvest fish for protein. Despite its ancient roots, and a recent history of scientific interest since the 1980s, aquaponics is still a developing method for commercial food production. As it is studied and implemented in new places, new technologies are developed which will help us find in aquaponics a sustainable method of producing food for generations to come. In addition of growing plants, a secondary focus can be placed upon breeding fish as part of an Aquaponics farm. The synergy between growing plants and fish has been well established in aquaponics farms across the world, and it’s momentum is increasing rapidly. Aquaponics is an emerging industry which distinguishes itself through the high quality of the products and by the ability to deliver organic food on a consistent basis. It has many advantages over other farming techniques and its application achieves substantial benefits towards population and environment. For humanity to survive, we have to profoundly change the foundation of human behavior, because we are radically undermining the environment and ecosystem. Water and land shortage will force humankind to develop new crops and agricultural systems in order to reduce detrimental environmental impact. 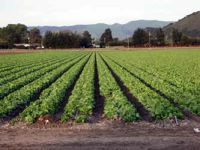 In the light of the ever increasing population and demand for food, the environmental impact needs to be closely monitored and agricultural planning in regards to environmental preservation is paramount. In addition, the planning of effective urbanization and the promotion of self-sustainability are most important and will greatly impact the future of humanity. The dependency on chemicals in our food supply needs to be diverted back to 100% organic to ensure the health of future generations – our children. 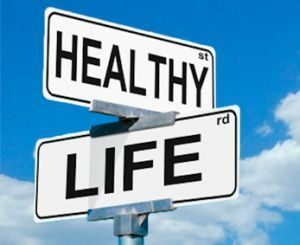 This will decrease the output and demand of highly processed foods, which are detrimental for human health in many cases. The result will be a decrease in the industrial emissions footprint, additionally resulting in a cleaner environment. The forecast is threefold. Using Aquaponics, much less water and land will be required to achieve an equal amount of harvested crops, resulting in a pressure decrease on natural resources like available farm lands and water supplies, or a higher output using the same amount of land in order to meet the higher food demand from an increasing population, and a cleaner overall environment. With less land needed for agriculture, more “green spots” can be preserved and in doing so, with well-planned urbanization, hold off the concrete jungle. Earth’s freshwater resources are dealing with increasing pressure from consumptive use and pollution. In many countries with high population density, water preservation is already of utmost importance. Aquaponics provides a valid form of agriculture in which the use of water is minimized; hence the public water supplies will greatly benefit from this type of farming. In all countries the water footprint related to agriculture is the largest share. 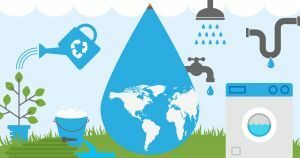 China 1,207 Gm3/y, India 1,182 Gm3/y and the US 1,053 Gm3/y have the largest total water footprints – about 38% of the world’s total water footprint. India has the highest blue footprint 243 Gm3/y or 24% of the world’s blue footprint – used for irrigating wheat, rice and sugarcane primarily. (Hoekstra & Mekonnen, 2012). “You get a much higher yield per acre than a traditional farm, which needs about six acres for every one acre of Aquaponics production” (Jackson McLeod, co-owner and operator at Fluid Farms, Dresden) 3 to 12 times more crop rotations compared to agriculture on land. 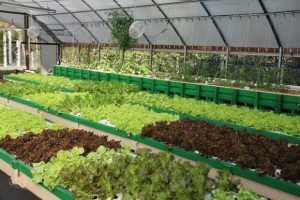 Aquaponics uses about 90% less land and water than soil agriculture but potentially could generate three to four times more food, according to a report from Industry ARC, a Hamilton, N.Y., consulting and research company. It takes 60 days to grow a full grown head of lettuce in soil and only 36 days in Aquaponics. Intelligent design allows for perpetual growing food and daily harvesting, the whole year around! What can be grown in an Aquaponics system? Over 300 varieties of plants have been tested to see which ones would thrive best in the Aquaponics system. The biggest group that does not grow well in an aquaponics system is any type of root vegetable. Basically root vegetables or any plants that are produced under the soil such as potatoes. Any leafy lettuce, pak choi, kale, spinach, arugula, basil, mint, watercress, chives, most common house plants, garlic, onions, any kind of herb, etc. Tomatoes, peppers, cucumbers, beans, peas, squash, broccoli, cauliflower, cabbage, etc. Bananas, dwarf citrus trees: lemons, limes and oranges, dwarf pomegranate tree, sweet corn, micro greens, beets, radishes, carrots, edible flowers: nasturtium, violas, orchids, etc. Weather or climate independent, food can be grown all year around in a temperature controlled greenhouse. Soil composition or rainfall independent. Typical diseases that occur in soil are nonexistent. Water conservation. Aquaponics uses only 5-10% of the amount of water as compared to classical agriculture. The only loss occurs through evaporation. 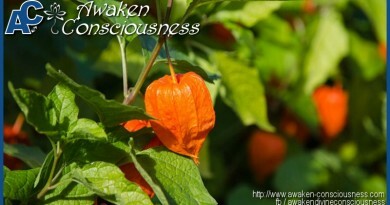 It isn’t necessary anymore to plow, plant, irrigate, or do any weeding. High yields because the plants don’t fight over nutrients or water. Everything produced is 100% organic because the fish provide the fertilizers. You can produce fruits, vegetables and fish in 1 farm. It takes about half the time from seed to table compared to a plant grown outside! In a well-planned design, one can grow food perpetually, and harvest daily. Aquaponics makes efficient use of non-renewable resources and there is no waste water whatsoever, which protects groundwater, eases agricultural permitting processes, and can shift the agricultural enterprise to a sustainable model. Save money: no fuel is needed to plant crops, no use of fertilizers, no use of pesticides. No machines are required to harvest crops. All that added expense would normally be passed on to the consumer. 100% Organic: With Aquaponics, harsh chemicals or pesticides are never used because it would harm or kill the fish. Very important: Aquaponics can be practiced ANYWHERE! IT does NOT require farmland with fertile soil, or even land with soil; aquaponics can be done just as successfully on sand, gravel, or rocky surfaces, which could never be used as conventional farmland. It can be done on any flat rooftop, garage, living room, back porch, front lawn, your paved garden, even in your basement with the right lighting. An aquaponics farm, inherently, can be run with considerable fewer laborers than a soil farm. 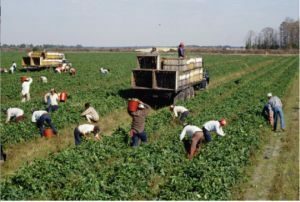 No labor intensive activities like weeding, crop spraying, irrigating, etc. are required. Operating an Aquaponics system requires the absolute prohibition of chemicals. The use of any pesticides, insecticides, herbicides or chemical fertilizers is devastating for any aquaponics system because contaminating the fish with any of these products will result in their death. A decontamination of the complete system would be required if operations are to resume in the same system. The complete water supply and fish population would need to be replaced and the system flushed thoroughly. 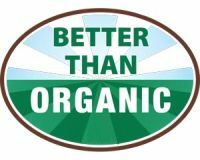 Problems with organic certification: Once you are certified, the inspector rarely stops by to check if you are truly practicing organic methods. There is currently more organic produce being sold, than actually is being grown. Which means some produce labeled as organic is not. The only way to combat this is to know the farm you are buying from. Bottom Line: There is no cheating on this with aquaponics, because you can’t use chemical pesticides of any kind or the fish would die, period. Even most approved organic pesticides would kill the fish. The fish act as the “canary in the coal mine”, and force the aquaponics farmer to be honest. Aquaponics mimics the natural symbiotic relationship between fish & plants. Even traditional organic farms need to supplement their soil with fertilizers. These fertilizers can be detrimental for the health of the soil and watershed. Water Conservation: Aquaponics uses 90% less water as compared to traditional farming. Water and nutrients are recycled in a closed-loop fashion which conserves water. Aquaponics protects rivers & lakes: No harmful fertilizer run off into the water shed. In efforts to maintain nutrient rich soil, farms have to use a lot of fertilizers. Those excess fertilizers eventually make it to the rivers, where there are countless harmful side effects. No fuel is burned in the production process so no emissions are being spewed into the atmosphere. No pollution is created during the entire process. Energy Conservation: Even with grow lights, less energy is used than conventional commercial farming! All energy used in aquaponics is electrical, so alternate energy systems such as solar, wind, and hydroelectric can be used to power the farm. Land Conservation: An Aquaponics system can grow six times more per square foot than traditional farming. Also, by growing in abandoned warehouses, structures that already exist can be used, saving money, energy and other valuable resources. 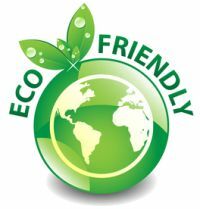 Aquaponics systems use fertilizer from cold blooded fish which do not carry the E. coli or Salmonella, unlike fertilizers from warm blooded animals. 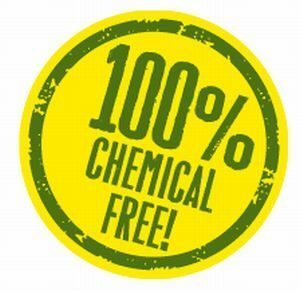 No chemical preservatives, synthetic or artificial coloring, chemical sweeteners or flavorings, no refinement or processing, no use of derivatives. Fish are the fastest converter of plant protein to animal protein. Fish have no growth hormones, no mercury, no antibiotics, No P.C.B.s. Plants contain no antibiotics. With Hydroponics you have to continuously change out your water supply, because the nutrient solution builds up salts and chemicals in the water. Not only is this wasting more water than aquaponics, it is also polluting the watershed. Nutrient solutions for hydro are super expensive, where the fish in aquaponics can be fed worms, bugs and scraps from the plants, depending on the species. Hydro revolves around a sterile environment, where Aquaponics embraces all micro-organism as they each play an important part in the growing process. As such aquaponics has far less diseases and pest problems. In hydroponics, you don’t get to raise and harvest fish. Hydroponic growers can use toxic chemicals to control pests. Contribute in the self-sustainability on a local, national and even global scale. Making use of growing seasonal crops can make you self-sustainable the whole your around. Allow for better water preservation, which is paramount in drought stricken countries. Result in cleaner farming with zero emission, which is environmentally very beneficial and as a result will reflect in better overall human health. Healthy 100% organic food, which will contribute to a mentally and physically healthier society as a whole. 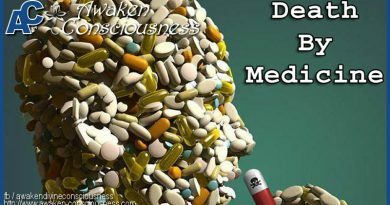 Decrease the dependency of corporations that process foods on a large scale using unhealthy manufacturing processes with chemical additives, disastrous for human health. Important considerations before starting an Aquaponics farm. The initial investment depends on the setup and volume. Because of this, every Aquaponics system is different and assessment is required to determine the best solution for the chosen produce the farmer wants to grow. A greenhouse is advisable to have a good aquaponics system. It also depends on the type of climate. A greenhouse can be advantageous to provide heat in cold winters, protect the system from heavy rains and keep out pests. This is also true for soil based gardening. A tech greenhouse can also provide cooling in hot climates to grow vegetables or fruits that require colder temperatures. Setup requires technical knowledge of aquaponics systems and hence it is mistake prone. 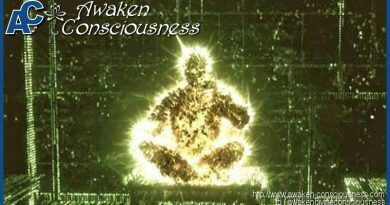 Usually the human factor is the culprit and therefore a preliminary education on the subject is required. Water needs to be constantly monitored to make sure the water quality is OK for fish. Aquaponics requires electric energy input to maintain and recycle water within the system. In most cases you will need to provide electricity to run a water pump and aeration pumps. Components failure could lead to the loss of fish and or plants. In this regard you are dependent on using reliable technology (and backup systems) to ensure that your fish, which require oxygen in the water, remain alive and healthy. You can grow pretty much anything in an aquaponics system from fruit trees to root crops, though depending on the type of growing medium, potatoes and carrots may grow into some weird shapes. Root crops are best grown in wicking beds or in media beds. Most aquaponics farmers focus on growing leafy vegetables. You don’t have to add fertilizer or nutrients but you do have to provide fish food. GOOD quality fish food (38%-40% protein) is important and the quality of the fish food will affect the substance excreted by the fish. Anybody can set up a little Aquaponics installation for themselves and grow organic produce for their family and friends. And although the basics need to be understood, it really isn’t that hard to set up a small installation that will provide you the healthiest and best produce you have ever tasted.